Dinner of the most Luxurious Restaurants. You must be a member of the Paris Savour Group to attend this activity. Would you like to join this group? Please be sure if you do it . Thank you for understanding that such bookings are matched by personal financial responsibility towards the restaurant. The lack of attendance is causing embarrassment to us. If not, please give the flag until 20 January. 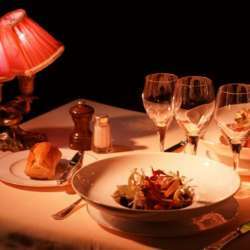 A historically ranked landmark, the Protected content French Gastronomy and also the most imperative meeting place for numerous international celebrities. During the Belle Époque, new gastronomy is born. The menu becomes more like a dress code where it boasts mixed soups, eight to ten entrées, roasts, salads, and desserts.